The terms “we”, “us”, “our”, “CartFlows” refers to us at CartFlows and the products we are offering you. Similarly, terms like “users”, “you”, “your” refer to all our users and visitors surfing the website or using a product. You were not previously prohibited by CartFlows to enter into an agreement like this. Verifying your Account: When registering for a product or service, CartFlows may ask you to verify your identification through various means. If you have registered with an email ID, CartFlows may send you a message to the same address that you’ve provided. This message may contain links or a list of information we’ll need to identify you as the sole owner of the email ID. Abuse Notification: You are required to inform CartFlows immediately, in case you get adequate information that your account has been hacked or if you get an information about the unauthorized usage of your account. The services provided by CartFlows as on this day are as mentioned below. CartFlows holds complete authority to add or deprecate any services according to its sole discretion without any prior notice. Online Store: CartFlows shall allow you to purchase licenses through the online store. Any item shall be sold under a specific license and each item you purchase will be associated with unique license key. Updates: CartFlows may provide you with updates for the product offered. These updates can be implemented with your discretion, by updating the files and database on your server. License Key: Every customer who purchases our product is provided with a license key that is required to unlock benefits such as automatic updates, support from our developers and extra resources for the product offered. This license key is a property of CartFlows. You are free to use it on your own website. You can also use it on websites of your customers if the website is made by you. However sharing the license key with any third party is not allowed. Knowledge Base: CartFlows shall provide with certain manuals, articles and tutorials that will help you use the licensed product. Most of these are available free of cost, while CartFlows holds the authority to charge for some additional documents. For all the services and products offered by CartFlows, you will have to pay the specified fees as published on the respective websites from time to time. The payment shall be made via different available payment modes and in any case where you purchase a subscription, the billing shall be made under a recurring subscription. CartFlows may from time to time determine or update the pricing for particular products and services. All CartFlows products are sold as automatically recurring subscriptions that renew every year on the anniversary of the purchase date. This is applicable for all paid products, unless otherwise states; and the ones that come with a lifetime license which do not require renewals. Our product may come with a renewal discount that one can avail if the license is renewed within the renewal period. Post which, the renewal price will be the full plugin price as published at that particular time, exclusive of any discounts. CartFlows holds complete authority in managing the cost and discounts in such cases. All our WordPress plugins, themes and their source code available for download on this website are licensed under the GNU General Public License version 2.0 or later. We believe in all our products and stand by their quality and performance. However, things might not work in the same way for everyone. Therefore, if you come across an issue that cannot be resolved, or feel that our product isn’t working as expected, you can contact us for a refund within 30 days after purchase. We’ll be happy to refund the entire amount. No refunds will be processed after 30 days post-purchase. If you are not happy, apply for a refund within 30 days after purchase. Should you not receive an email containing your information, you can take a look at the Account section on our store. We, at CartFlows stand by our products and believe that they are the best possible solutions we deliver. However, if you come across any issues or incompatibilities, you can open up a ticket at our support center and allow us to help you resolve your issue. Dedicated support is promised to only those who possess an active license. Free copies and expired licenses are not liable for free support. You will have to purchase a licensed copy or renew an expired license in order to be able to get help from our developers. All the content, images, videos, products used on this website including documentation are a property of CartFlows. Although you can refer to everything on this website, you cannot claim our content or products without a consent from us. 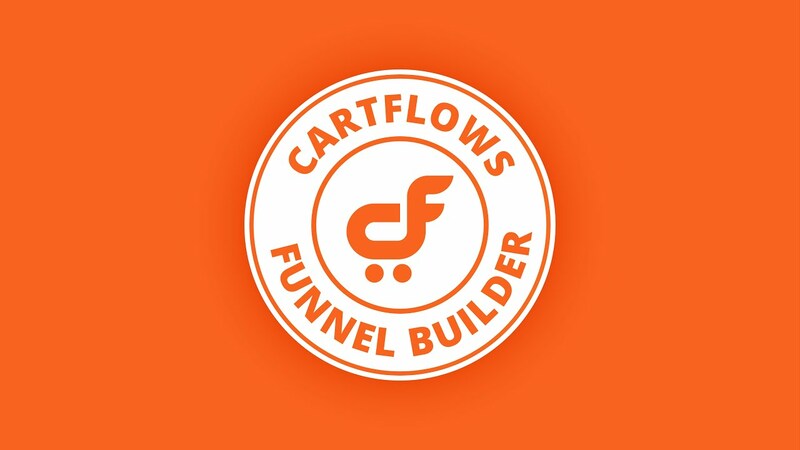 CartFlows may send you occasional emails to share some recent updates about our company and products. They’ll often contain information about recent updates, templates, freebies, promotions and more. You can opt out of our email newsletters anytime. CartFlows reserves the right at any time to (i) change any information, specifications, features or functions of the Site, Services or Software, including any Trial, (ii) suspend or discontinue, temporarily or permanently, any or all of the Services or any Trial, including the availability of any feature, database or content, or (iii) impose limits on certain features and Services or restrict access to parts or all of the Services, including any Trial, in each case with or without prior notice and without any liability to you or any third party. CartFlows will use its commercially reasonable efforts to notify you of changes to the Services and/or Products that, in CartFlows’s reasonable opinion, have the effect of materially and adversely diminishing the functionality of the Services and/or Products. CartFlows may from time to time update or revise this Agreement. If CartFlows updates or revises this Agreement, CartFlows will notify you either by email to your most recently provided email address, by posting the updated or revised Terms of Service and End User License Agreement on the Site or by any other manner chosen by CartFlows in its commercially reasonable discretion. Your use of the Site, Services or Software following any such update or revision constitutes your agreement to be bound by and comply with this Agreement as updated or revised. You can view the most current Terms of Service and End User License Agreement on our website. It is your responsibility to review the Terms of Service and End User License Agreement periodically. If you cancel your subscription within ten (10) days following such notice by CartFlows in accordance with the two preceding paragraphs, then CartFlows will refund you a pro-rated portion of any pre-paid Fees for the affected Services applicable to the cancelled portion of the pre-paid subscription term, if any. These terms of service shall be exclusively governed by the laws of the state of Delaware, USA and any dispute arising from this agreement shall be exclusively brought to the courts of Delaware.